This apple blueberry sugar cookie pie is like a thick, buttery sugar cookie bursting with sweet apples and blueberries. So easy and so delicious! I’m making this Apple Blueberry Sugar Cookie pie to join in with the #SundaySupper fun this week. 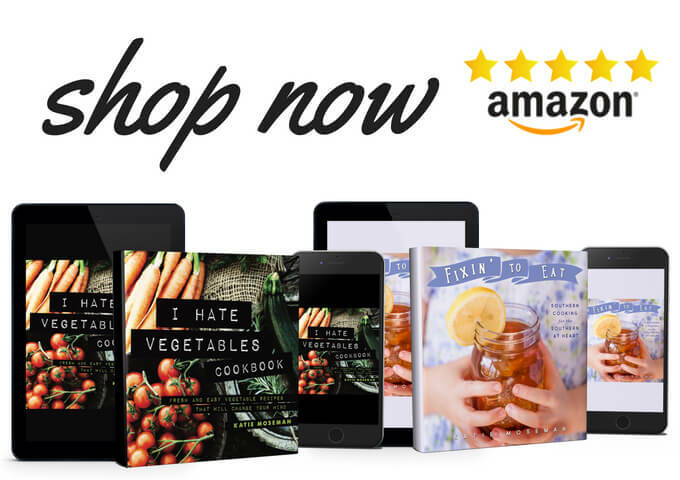 The theme for today is sharing recipes that use up Easter or Passover leftovers, and it’s being hosted by Liz of That Skinny Chick Can Bake with a little help from Stacy of Food Lust People Love. This past week, I’ve noticed a lot of beautiful recipes for making Easter-themed shapes out of fruit, such as a giant Easter egg made of fruit, and I’m going to show you what I like to do with your leftover fruit! The consistency of the flip flop is unlike any other dessert. It’s sort of like a dense butter cake crossed with a sugar cookie. The edges brown and get nicely chewy like a cookie, yet the center is soft and yielding like a butter cake. Add in the fruit, and you’ve got a texture experience with multiple dimensions! I made the pear flip flop recipe quite contentedly for several years. Then, the other day, I decided to change it up a bit. First of all, I like pears, but I wanted fruit with a little more acidity. Second, the pear flip flop itself was a little too sugary sweet. So I switched in my favorite apples (Honeycrisps) with the skins on, and a handful of blueberries, while reducing the amount of sugar. Changing the recipe a bit made it even more cookie-like, so I’ve named it the Apple Blueberry Sugar Cookie Pie. I love how the red color of the apple skins deepens as they cook, while the blueberries burst and their purple juice colors the batter and apples nearby. Such gorgeous color! Plus, it’s delicious. Preheat the oven to 350 degrees and set out a 9 inch pie pan. In a mixing bowl, whisk together the dry ingredients: flour, sugar, baking powder, and salt. Add the milk and vanilla and whisk until smooth. Pour the melted butter into the center of the pie pan. Then, gently pour the batter into the center of the butter. The butter and the batter will spread out on their own- there is no need to stir or tilt the pan. 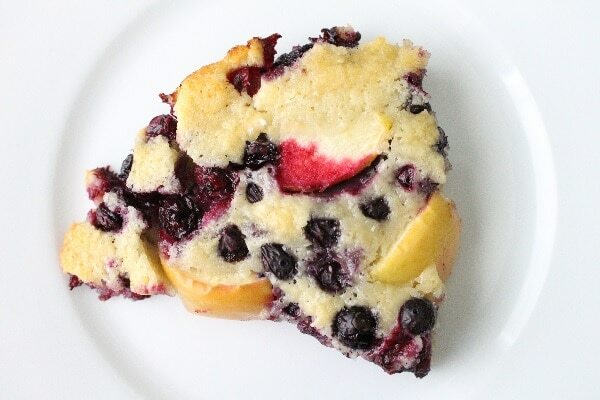 Scatter the apple chunks and the blueberries over the batter. Bake for 40 to 45 minutes, or until the edges are golden brown and the center is slightly puffy and no longer liquid. Remove the pie pan from the oven and let cool until just slightly warm. Have you ever changed a recipe to suit your own tastes? Have you ever had anything similar to this cookie pie? 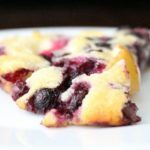 If you enjoyed this Apple Blueberry Sugar Cookie Pie, you might also like my famous blackberry crumble, or this clafoutis over at Magnolia Days! I’ve never had a flip flop although I’ve certainly had fruit sink to the bottom of batter when I was hoping it wouldn’t, like in a Bundt cake. 🙂 I love that it is an intentional technique here! Makes me feel much better about my mistakes. Love the apple/blueberry combo, Katie! What a fun dessert! Haven’t heard of this before, but it would certainly be a hit around here!!! Happy Easter, Katie! I think I’ve found my new favorite cake for summer. A flip flop cake for flip flop wearing season. Oh yes! This sounds delicious! I love that you added Apples to it too… I think this would taste better than the Pear Flip flop! 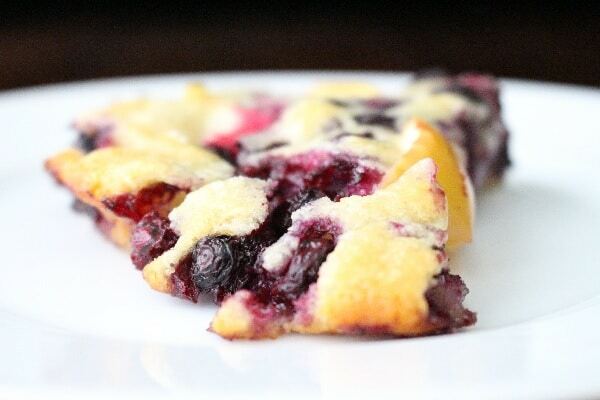 This is such a great dessert to be able to whip up at a moment’s notice! I never have leftover fruit though – I eat it all. I’ll just have to buy extra. First off, Katie, I love your blog! It’s so bright and cheery, just like you 🙂 I’m also deathly in love with this recipe! The thought of flip flop layers is just so much fun! I love your changes, too. I just saved this recipe: can’t wait to make it sometime soon! Have a great week! I love this origins of the flip flop info! This just looks like “grandma” to me! Droolings!! Thank you for introducing me to a brand new dessert to make! Can’t wait to try this recipe. I love this Katie! What a fun dessert with a great name. It’s exactly the kind of dessert I most love, and it can change all through the year depending on what’s in season. This looks so good! I love blueberries in anything! I’ve never heard of a flip flop before. Sounds great though! And I like that use reduced the sugar – I don’t like overly sweet desserts. I had never heard of flip flop before, but it looks awful dang good!